The basic functionality of key finders is to locate misplaced keys or otherwise ensure that keys are never lost. Essentially a key tracker is a small device that fits on your key ring. These devices pair most often with smartphones for the purpose of tracking the location of your misplaced key rings. The average range for mid-tier key trackers is 100 feet between devices, and the average decibel count for alarms is 90. When mid-tier devices are mentioned, these are the specs that are being alluded to. With all that being said, here are the some of the best products in the crowded market of key finders and device trackers. There are two options when it comes to TrackR key finders. These are the TrackR Pixel and the TrackR Bravo. There are very slight differences between the two devices besides the size and appearance of the products. The TrackR Bravo having a wider diameter and the TrackR Pixel being a bit thicker. The edge goes to the TrackR Pixel only because there alarm is 90 decibels as compared to the TrackR Bravo, which has an 82-decibel alarm. There are also more color options for the TrackR Pixel. 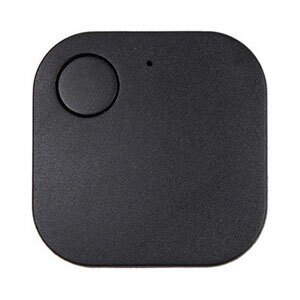 There are claims that the TrackR Pixel does not perform as well as the TrackR Bravo, but if you are not getting the range promised, return the product. One of the biggest draws for the E-Byta is the price. Where other publications will sing the praises of the affordability of the Tile Mate, it is important to know that you can get two E-Byta key finders for around the same price. And for an even cheaper option, you can look into the E-Byta $6.99 variant, which also comes with 2 trackers. The battery life is said to last 6 to 8 months, though customers have claimed their battery has lasted longer or less. But the battery can be replaced when it does die. You may also be pleased to see that there is an alarm function available through pairing the device with the smart device app. This alarm is meant to alert you when your phone and E-Byta lose their connection. The range that your keys must stay, in relation to your phone, is not specified by the company and verified purchasers vary on their opinions of the range. For the money, it is one of the best options for key trackers. Much like several of the other products on this list, the manufacturer has a few options for you to choose. You can decide if you would like the round Boldguard or the square Boldguard. Unlike some of the other companies, both of these products have a different shell without any variation in range or functionality. 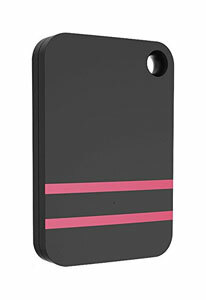 As long as you want to keep your phone and keys in close proximity, this should be perfect. Some users may find this to not fit their needs, as you will see in some of the reviews, some people were hoping to have more range before their device disconnected from their smartphone. When this disconnection happens, you will be warned by the bodyguard’s alarm function. 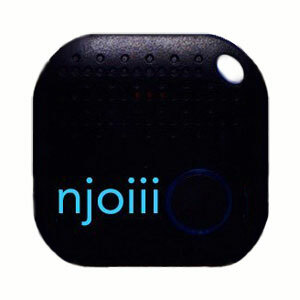 If you are looking for a Bluetooth key finder with a long battery life, the Njoiii has one of the longest advertised battery life of any available key finders. The battery life is said to last anywhere from 12 to 18 months. And like many other options on this list, the battery can be changed if there is an issue. The price of the Njoiii also makes it one of the more affordable options on this list, though certainly not by a large margin, and it is not the cheapest device for finding your lost keys. The Njoiii also boasts of its water resistance, but there is no specific duration or depth that it is said to be able to withstand. For an extremely low cost, you can get a pack of 3 Xenzy key locators for around $15. This is a unit cost of a little under $5 each. Though from the look of the design, you may think that it will not fit on a keychain, there are available lanyards. 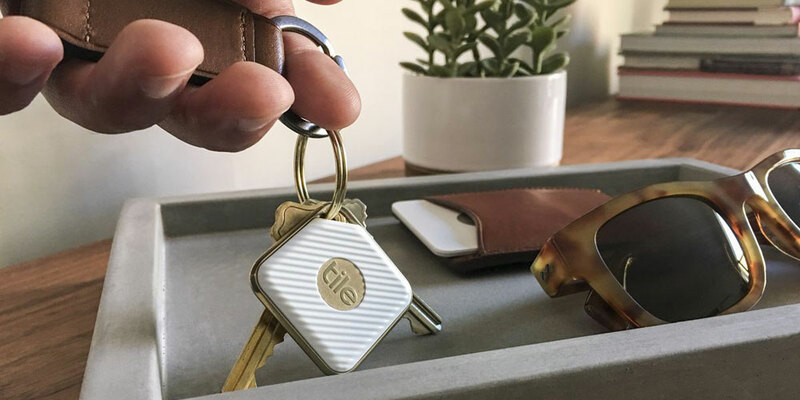 With so many Bluetooth trackers you can use them for all of your spare keys or for other valuables you think you may misplace. With an advertised range of 75 feet, this is the range that you need to keep your smart device from the trackers. You will hear an automatic ring that will signal that you are leaving your valuables behind. This is perfect if you have a habit of not just losing your keys, but also having them fall out of your pockets or leaving your home without picking them up or locking your keys in your car. Most of the lost key finders on this list have a similarly restrictive range of function, and it is here that the Legacy Plus stands out. To compete with the many products that are on the market, the Legacy Plus boasts its 50-meter range, which is approximately 164 feet. This puts the range in competition with the much more recognizable Tile Sport. For the range that the Legacy Plus can interact with your other smart device, you might expect to find it is a similar price range to similar products, but this is not the case. 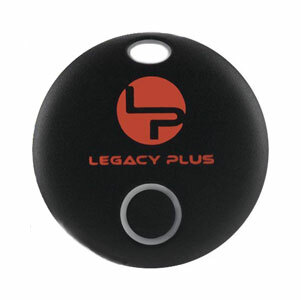 In fact, the Legacy Plus is quite inexpensive compared to other similar key trackers, especially when you considered the beeping alarm, which has been upgraded to be more audible in loud environments or when the device is covered. A slightly different take on the lost key finder design, Uniclife uses a remote that is not your cell phone or similar smart device. This sleek 6 receiver model is Amazon’s choice over many almost identical products. And you can check out almost identical products made by Cittatrend, Esky, and MWAY. You will see a few other products that use similar designs and technology, such as generic models without any brand or models that simply say “key finder”, but I would advise against them. Uniclife as a company provides a year-long warranty, a decent distance that your remote can work from, and changing the batteries are relatively simple, etc. The company “nonda” has created the AIKO Finder, which adds a relatively unique wrinkle to the lost key finder market. The AIKO is rechargeable via a micro USB port on the token. The app will even alert you as to when the device needs to be recharged. This is technically a solution to the trouble people have with changing batteries and having disk batteries on hand. If you would like to buy AIKO Finders in packs of four or purchase your AIKO individually, you can do either. The difference is that the unit price comes down a bit, but not substantially. I would say, it is not worth buying more than one if you have no interest in tracking several keys or other objects. 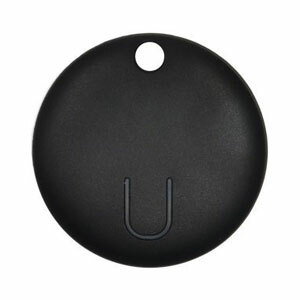 But if you are interested in a rechargeable key finder token, this is a great choice. 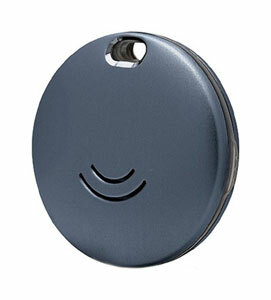 If you are hoping to use one of the trackers you get in a pack on to locate your cell phone and not just your keys, you may be interested in the Pixie. 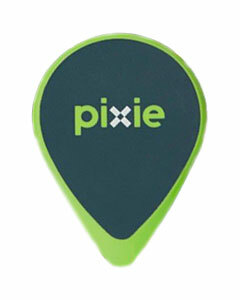 You can purchase the Pixie with different iPhone cases that fit the tracker. Unfortunately, there are no cases available for other smartphone manufacturers. The Pixie is available without a case, so be sure that you do not buy a case when you just want the Pixie. The app is also very unique as you can see in the Pixie promotional video. When you are nearby to your keys you will be able to see “pixie dust” surrounding the more exact location. Even if the keys are under pillows, papers, etc. There is also an arrow that will point to the direction you should turn or walk in. From the maker of a wide range of electronics, RapidX brings you the FindX. 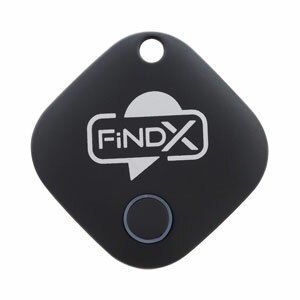 Unlike most lost key finders and bluetooth trackers, the FindX is not the flagship product of this company. You can find a wide array of different RapidX products on Amazon, and it is pretty clear that they are a serious business. It is not overwhelmingly different from a lot of the mid-tier trackers that you will find, except that it is from a more established brand. Though this is not their only product, the company is around to answer questions and hear your issues with the software. In terms of a product that is likely to have that service into the future, FindX stands above the rest. The Orbit is an all aluminum body device tracker that looks and feels slick. There is also a unique tool that you use to take the tracker apart. With this tool, the designers made sure that the appearance could be sleek without having to sacrifice the ability to change the battery. It is one of the best-looking trackers and the many colors that it comes with allowing for quite a bit of customizability. Blending the Orbit into your key ring will be no issue. The only thing is that it is very similar in its functionality to many of the other mid-tier Bluetooth trackers, even down to the app design. 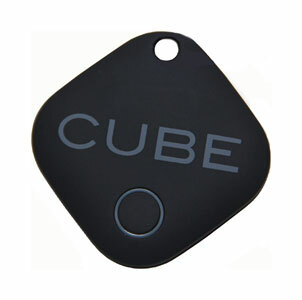 The CUBE has a rubber body, which means it is not going to jingle or jangle as loud as metal or hard plastic trackers. This is perfect because you only want your tracker to make noise when you are looking for your keys. 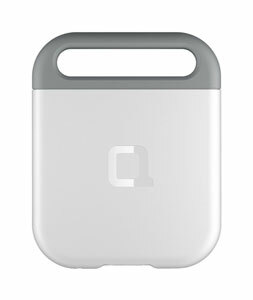 But when it comes to the functionality of the CUBE, there is very little else that sets it apart from the competition. 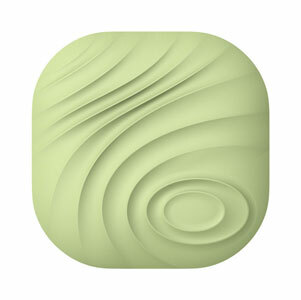 With the Pebblebee we see a longer range than with most other key trackers on the market. The advertised range of 200 feet is double the industry standard. The look is relatively discrete, but there are currently no options for customizability in terms of color selection. If you like the way it looks, then there is no issue. 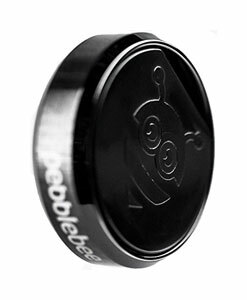 In order to use a louder speaker, the Pebblebee is also not waterproof. This might not be a concern for all people, but if you need something that makes more noise than the competition, then the tradeoff is losing the water protection. All in all the Pebblebee offers a lot of features not available with other tracker devices for keys, but this comes at the expense of many features that are standard with other models. 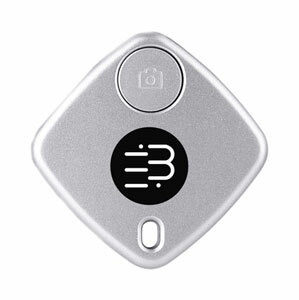 The design of the Nut Find3 gives the key tracker one of the more unique looks on the market. The raised grooves provide not only a grip but also give the whole device a very modern and artistic look. And much like other key trackers, the ad copy centers around being better than the Tile Sport (it seems like all competitors agree that the Tile is the industry leader). The product’s commercial shows the extent of what the Nut creative team thinks you will always want to remember to bring, but we will stick to talking about keys. It is not offering anything more extraordinary than the approximate range of 100 feet and a speaker that produces around 90 decibels for the ring. The most alarming thing is that there are many websites that claim to be the official Nut site or seller, so the company brand is a bit muddled. If you want to have a key finder but you don’t want to rely on a smartphone or similar device, the KeyRinger is a great option. You get two trackers that activate the alarm on one another. There is no need to download an app or worry about and no programming. Everything works straight out of the package. We also see that this allows for the longest range of functionality with the devices being able to communicate up to 300 feet. The downside that you need to anticipate with this device is that you can misplace both devices. Make sure that one of your trackers is kept in a reliable location. Unlike using your keys to track your phone, it is not obvious why you would have both of these trackers with you at all times. Make sure that you work out how you would use the KeyRinger before you are stuck with its very particular functions. 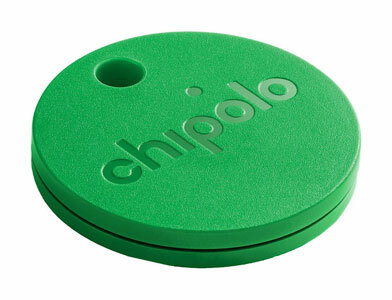 It can be a bit difficult to distinguish between the Chipolo PLUS and the Chipolo CLASSIC as they look exactly the same. So before you buy the Gen 3 over the Gen 2, make sure you are aware of whether or not you are getting the PLUS or the CLASSIC. The biggest difference is the PLUS has a higher decibel count for the alarm, water resistance, and a longer battery life. Other than knowing the difference between the two Chipolo key trackers, there is not much that is special about these trackers versus the other mid-tier key finders. However, you cannot use it for remotely taking pictures with your phone (if that is something you were interested in). The look is more playful and bright, but it does not have a very distinguished design. 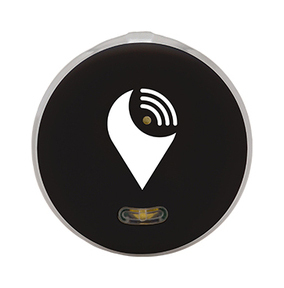 One of the most popular devices for locating your lost keys is the Tile Tracker. You can find Tile products in many big box stores such as Target, as well as through online retailers. With this company, you have several choices, in terms of the specs of the device. 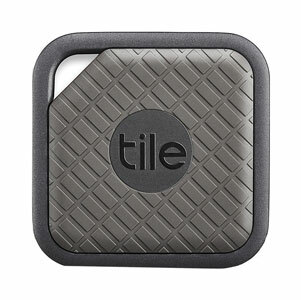 The Tile Trackers come in many variations including the Tile Mate, Tile Slim, and Tile Sport. There are even online options for purchasing certain discontinued Tile Tracker models. The Tile Mate is more affordable, but the Tile Sport has the best range at 160 to 170 feet. I would actually not suggest the Tile Slim for key use as it is designed to be placed in wallets, purses, etc. All of the Tile products do not have replaceable batteries. But there is a service they offer called reTile, which allows you to replace your Tile for a discounted price. The reason for this, as stated by the company, is so that you can be “covered by [their] worry-free warranty for those 12 months from activation”. You get a guarantee of a year-long lifespan for your battery when you buy Tile. But if you want something as goods as the Tile Sport, this subscription type service is the best option. The slight differences between all of these products should not be overlooked. Be sure that you know what you want from your key tracker before you make your investment (especially if you are buying multiple trackers). Oddly enough, many of these key locators can also be used to remotely take pictures from your phone. This is not a feature that really affects your ability to find your lost keys, but it is a feature that you can take advantage of. Do not allow yourself to lose your keys. Buy the products you need, so that you never get locked out of your house, locked out of your car, or locked out of your office, ever again. But if you ever do lose your keys, give United Locksmith a call.